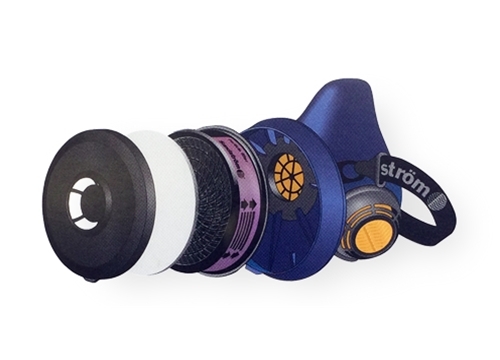 Unique inhalation and double exhalation valve design provides one-half the breathing resistance of competitive respirators. This means easier breathing and greater respirator compliance. 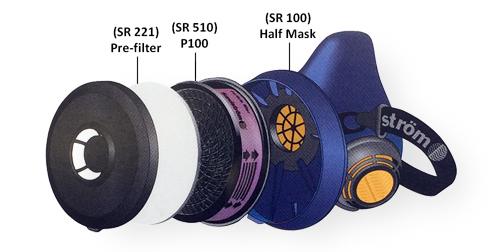 High-efficiency P100 particulate filter offers TEN TIMES more filter effectiveness than required by NIOSH. Each filter is tested for 99.997% filter efficiency.